How do firms actually determine the level of dividends they will pay at a particular time? As we have seen, there are good reasons for firms to pay high dividends, and there are good reasons to pay low dividends. We know some things about how dividends are paid in practice. Firms don't like to cut dividends. Consider the case of The Stanley Works, maker of Stanley tools and other building products. As of 2001, Stanley had paid dividends for 124 years, longer than any other industrial company listed on the NYSE. Furthermore, Stanley had boosted its dividend every year since 1968, a 33-year run of increases. In the next section, we discuss a particular dividend policy strategy. 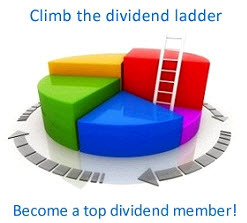 In doing so, we emphasize the real-world features of dividend policy. We also analyze an increasingly important alternative to cash dividends, a stock repurchase.